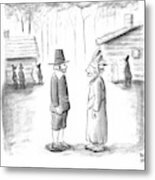 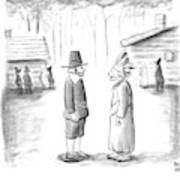 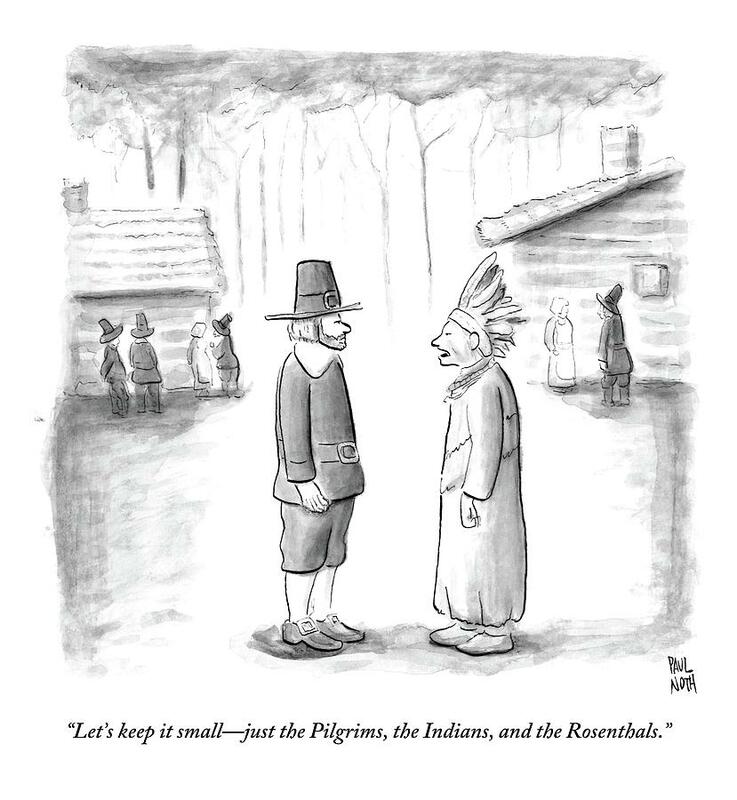 Caption: "Let's keep it small - just the Pilgrims, the Indians, and the Rosenthals." Description: An Indian chief speaks to a Pilgrim. In the background, other Pilgrims stand near log cabins.